In June 2015 we created a documentary premiere like no other. Not only did we create a stunningly beautiful environment for VIPs to sit down and watch the first episode of ITV's documentary 'Me & My Guide Dog', complete with cocktail and canapes, glorious white floral arrangements and the most glamorous cinema experience you've ever seen, we were also thrilled to create an entirely bespoke and unique immersive experience for the occasion. 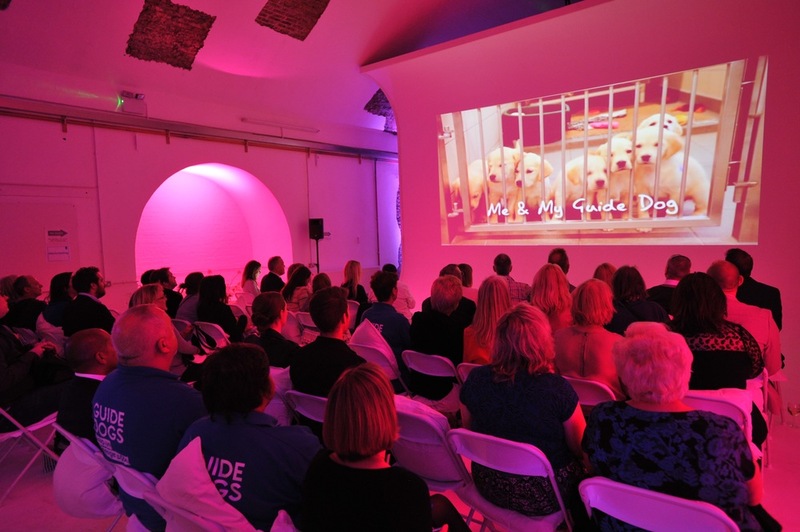 We worked alongside Guide Dogs to create a blindfolded sensory journey to give guests the experience of being visually impaired and travelling from A to B. Through an intricate sound design, a clever journey design and a cast of 22 performers guests were transported to a world of busy London life, where they traversed a busy pedestrian crossing, got caught in a thunderstorm, chatted to passersby and made their way down into the underground and onto a tube. Watch the videos below to get more of a sense, and have a look at some of the feedback we gathered from the event in the pictures below.